We have a long waiting list! Once you have registered your child at one of our preschools, we will add him/her to our waiting list and then contact you when a place becomes available. YOU CAN FILL OUT THE ONLINE REGISTRATION FORM BY CLICKING HERE. Before you complete the registration form, we recommend that you read through our Parent Handbook so that you are familiar with all the policies and requirements for the preschool. Children may remain at the preschool until July of the year that they turn 6 years old. The registration form gives a place on the waiting list. We will confirm at a later date if the child has a confirmed place at the preschool. Once we confirm a place for your child, then the registration fee is due. The registration will not be fully confirmed without receipt of this fee. The registration fee covers all administrative costs in order to welcome your child to the preschool. This fee is non-refundable. The fee is due once we have confirmed a place for your child at our preschool. We will send you an invoice once you have confirmed your child’s place at the preschool. Payment of the registration fee confirms the final registration of your child. DKK 4.750 for all children from 2 years 10 months to 6 years old. DKK 10.000 for all children from 2 years 10 months to 6 years old. The tuition fee is due on the first working day of the month. Payment should be done by bank transfer. There is a DKK 500 late payment fee if it is not done on the first working day of the month. 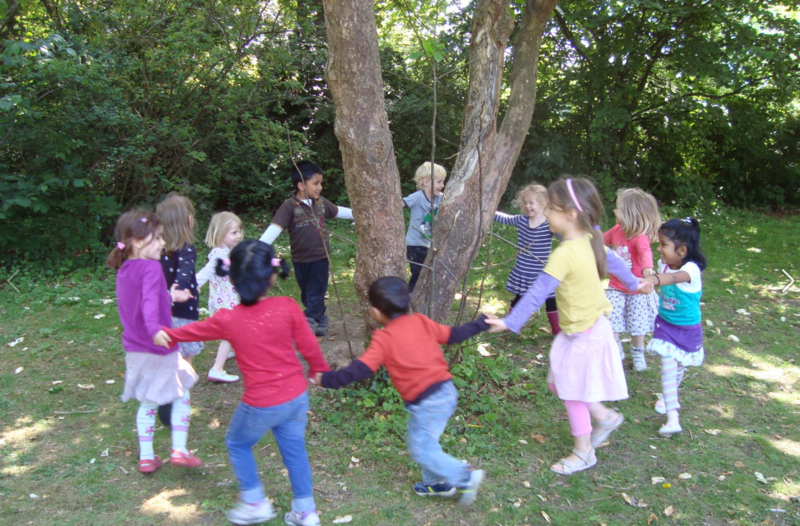 For both preschools, we offer Summer School during the first week of July at the Frederiksberg preschool. Part of the monthly tuition fee will be due for that month. Both our Frederiksberg and Valby preschools are approved as Private Institutions so the monthly tuition fee is the parents’ contribution and the municipality covers the rest of the tuition. If you live outside of these municipalities, you must first contact your local municipality to ask them if they will pay the subsidies. Every municipality in Greater Copenhagen has different regulations on subsidies so let them know that you would like your child to attend one of our preschools. Please give two months’ notice before your child leaves the preschool. This is to give us time to prepare for a nice goodbye for your child and for the welcome of the new child who will be joining us. If a child takes some time off from the preschool or goes away on holiday, the full fee is still due otherwise the child loses his/her place at the preschool. Please make sure that you inform us when your child will be absent so that we can organise ourselves accordingly.